A shortage of talent and immigration legislation have been blamed for hampering technology growth in London. A lack of talent is the biggest threat to London’s technology sector, according to Tech London Advocates. In a survey of the independent private sector group's members, 43% pointed to talent shortage as the biggest problem to the future of technology growth in London. Meanwhile, 10% viewed immigration legislation as a massive threat. Tech London Advocates is a group of more than 500 people in the tech ecosystem tasked with promoting London’s tech sector by dealing with issues and challenges they see on the horizon. 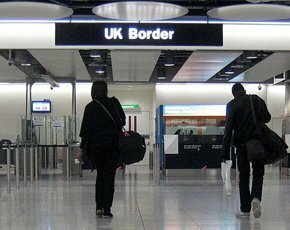 The organisation asked a selection of London’s fastest growing businesses about the challenges they faced around immigration and talent, and nearly all reported difficulties around recruitment despite having, on average, seven open vacancies. “A lack of skills and challenging immigration legislation is inhibiting growth in the capital and threatening London’s position as a global technology hub,” said Russ Shaw, founder of Tech London Advocates. The full study will be released later today as part of the first anniversary event of Tech London Advocates, where speakers such as Kit Malthouse, deputy London mayor for business and enterprise, Gerard Grech, CEO of Tech City UK, and Sherry Coutu, angel investor, will discuss key issues facing London’s technology sector. Tech startups and entrepreneurs describe how problems with talent and immigration is affecting their businesses.